When was the New Testament written? When was the New Testament added? through an assembly representing all of Christendom. and promulgation of early canon law. set a precedent for future councils. define Jesus' nature had been unsatisfactory. distinct person and was fully divine. man-made decision how to define Jesus. is claimed to have influenced many to sign, but this is highly debated by both sides. became the Catholic Church (17 before 1453). controversial document cataloging the basic beliefs of Christians -- the Nicene Creed. doctrines, and as a public profession of faith. could be made, nor could any other creeds be adopted. The Roman Catholic Church made the addition of the words "and from the Son" to the description of the Holy Spirit. "Profession of Faith." For more about the origins of the Nicene Creed visit the Catholic Encyclopedia. 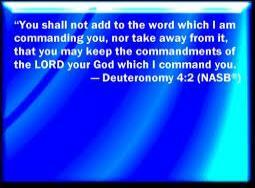 specifically its recitation, not for its content, but simply because it is not found in the Bible. The Nicene Creed originated from this council approximately 300 years after the birth of Christ. When was the New Testament added?